* Open to the public. All are welcome. Korean diplomats and translators, as well as their overseas Hokkien, Cantonese, Vietnamese and Siamese counterparts, played an essential role as “go-betweens” by taking advantage of existing tributary interconnections to develop the regional forms of knowledge, expertise, and mediation that defined, objectified, and maintained the constructed boundaries between China, Japan, Korea, and Southeast Asia in the early modern world. Such go-betweens articulated the cultural, imperial, geographical, and disciplinary boundaries that informed the early modern regional world of East Asia on the eve of modern Western global imperialism and colonialism. The Korean courtier Kim Chŏng-hŭi (1786-1856), born a yangban aristocrat, the traditional ruling elite who passed Chosŏn sponsored civil service examinations, provides us with another interesting counter example to typical accounts of the Korean “Song Learning” (Songxue) orthodoxy. When the 1811 Chosŏn embassy to Japan returned to Seoul, for instance, Kim Chŏng-hŭi spoke admiringly of its mention of new scholarly trends championed by Tokugawa scholars. 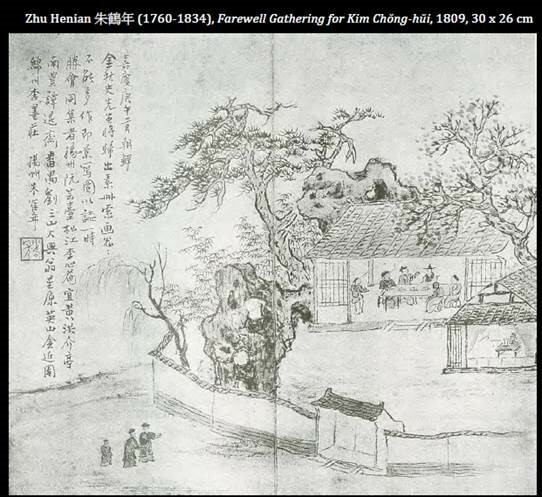 Kim himself had just returned from the 1809-1810 embassy to Beijing. The political landscapes in both China and Korea in the late eighteenth and early nineteenth century were complicated. But Chosŏn yangban and Qing literati had to practice their ideals in the midst of political dangers that accompanied the many allegedly illegal cliques and factions (pengdang) linking the inner court to the outer government. About the speaker: Benjamin Elman is Gordon Wu ’58 Professor of Chinese Studies, professor of East Asian studies and history, and served as chair of the Department of East Asian Studies. He works at the intersection of several fields including history, philosophy, literature, religion, economics, politics, and science. His ongoing interest is in rethinking how the history of East Asia has been told in the West as well as in China, Japan, and Korea. He is currently studying cultural interactions in East Asia during the 18th century, in particular the impact of Chinese classical learning, medicine, and natural studies on Tokugawa, Japan, and Chosŏn, Korea. 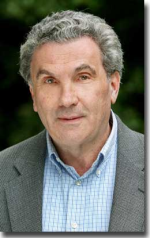 The editor, author, or coauthor of numerous publications, His recent books include Classicism, Examinations, and Cultural History (in Chinese, 2010); A Cultural History of Modern Science in China (2009); and a textbook for world history, Worlds Together, Worlds Apart: A History of the World from the Beginnings of Humankind to the Present (2008). He has also been effective in building relationships between Princeton University and institutions in East Asia, and has taught extensively at Fudan University in Shanghai and the University of Tokyo. Ph.D. University of Pennsylvania, 1980.